This year celebrate the unique culture and community surrounding records on 21 April, Record Store Day. 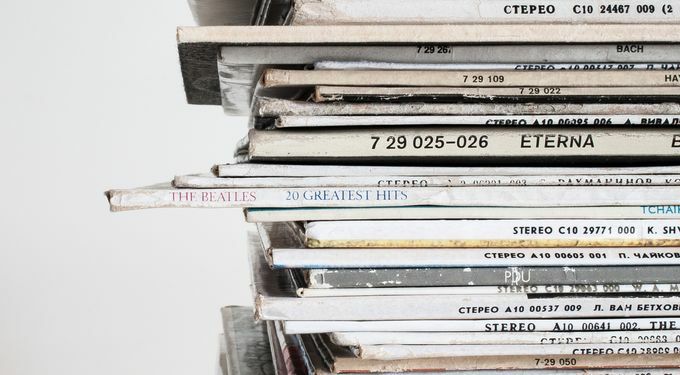 With over 200 independent record shops nationwide taking part, we’ve put together just some of the places you’ll be able to support the sale and appreciation of vinyl music in the city centre. Open as usual and selling the best in vinyl from 11am til 6pm, LP Records in the heart of the city will be meeting your vinyl needs with plenty of limited edition records on offer. Head to Café Totem on Furnival Gate from 5.30pm onwards when the store will host DJ Marco Rico, before Stevlor brings some floor-shaking Northern Soul classics all the way up until 1am. Head to Facebook to see the event. Opening its doors for the very first time on Saturday, you'll find BOO WAX inside Syd and Mallory/Knuf's basement selling single copies of new releases as well as second hand vinyl. Promising plenty of one-off vinyl gems, and its very own DJ churning out beats all day 12-6pm, BOO WAX is your destination for house, techno, drum & base, jungle and so much more. Open at 8am, the upstairs hidden gem will be stocking all your vinyl music treasures. With an extensive (and we mean extensive) list of the records on offer on the day, head to the website. This year it’ll also be holding a blind-buy charity event, donating all money raised to Bluebell Wood Children’s Hospice. Simply pay £20 to enter, then pick a number. Whichever numbered-record matches it will be yours! Be sure to head down on the day (queue on the balcony side). Opening its doors from 8am until 6pm, Record Junkee on Earl Street will have your RSD exclusives, as well as a brand new coffee shop for all your warm beverage needs. Sip your flat white listening to Sheffield locals High Hazels play some of their majestic pop in a relaxed acoustic setting. There’ll also be acoustic sessions from more of Sheffield’s finest: Before Breakfast, Kid Conventional, Emma Crowder and MAN CUB will mark RSD with some great tunes 12-5pm. As the evening draws in, the popular record shop will play host to live music from local Casey Lowry, psychedelic blues and rock band The Strawberries and the unique acoustic sounds of BANG BANG ROMEO. To book your tickets, and find out more on what’s going down on the day, head over to the Facebook event. As always, tag us in your photos while you’re out and about in the city using #SheffAfter5.